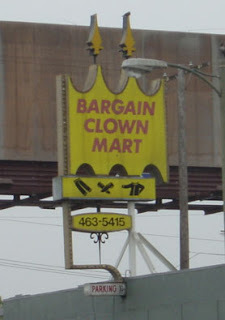 I'd rather go to the high-quality clown mart personally. Top dollar is worth it to me. HAHA I LIVED IN THAT BUILDING THAT SIGN WAS RIGHT OUTSIDE MY WINDOW FOR 3 YEARS! ITS no longer there, but it was at 1123 vine right above the 3 of clubs bar. Memories!